Where do these 'long-lost' manuscripts keep coming from? Listen Thread Question: Where do these 'long-lost' manuscripts keep coming from? Every week, The Thread tackles your book questions, big and small. Ask a question now. This week's question: Where are all these long-lost manuscripts coming from? It seems it no longer matters if your favorite authors are dead or retired — their work just keeps on coming. Recent years have seen a flood of original manuscripts rising from obscurity. "Lost" works by Edith Wharton, Charlotte Bronte, Truman Capote, F. Scott Fitzgerald and others have all surfaced. The latest literary discovery is the children's book, "The Tale of Kitty-in-Boots," from Beatrix Potter, who died in 1943. An enterprising publisher tracked in down in the archives of a London museum, and it will be published this September. So what's behind the trend? A lot of research. Most of the rediscovered manuscripts were housed in library or museum archives, where scholars have sorted through acres of paper to find them. The question of intent, however, becomes difficult when an author has been dead for ten, 20 or 100 years. Did they want these pieces to be published? Can anyone be sure? The public's growing taste for "never-before-seen" literary treasures keeps driving the hunt, but when it turns up work that authors never finished polishing, does it tarnish their reputation? Below are a few of the recently rediscovered works. Edith Wharton's "The Field of Honor"
A postdoctoral fellow at Oxford stumbled across a previously unknown work by Wharton while researching World War I in Yale's Beinecke Rare Book and Manuscript Library. It was nine pages long, and it had been cut and pasted together with extensive annotations. The story centers on Parisian society as it weathers the war. You can read it in full on The Times Literary Supplement. Although unfinished, "The Field of Honour" provides some fascinating insights into Wharton's literary preoccupations as the war ended, particularly her feelings about women war workers and the relationship between America and France, and helps us understand further Wharton as a war writer. Another Ivy archive, another lost manuscript: Andrew Gulli, the managing editor of The Strand literary magazine, found Fitzgerald's short story "Temperature" in Princeton's archive. The Strand published it for the first time last year. The 8,000-word story was written in 1939, and carries some arguably autobiographical elements for Fitzgerald: It tells the story of a hard-drinking writer in declining health. Gulli is something of an expert at finding such manuscripts: Two years ago, he found an unpublished story by John Steinbeck. He also teased NPR, saying he had found "something by a very, very famous writer of detective stories," but had not yet worked out the legal terms to publish it. Seuss fans got another taste of the legend's wit and whimsy in 2015 when "What Pet Should I Get?" hit bookstores. Though Seuss, whose real name was Theodor Giesel, died in 1991, he left behind a partially completed manuscript and sketches. A new short story and a poem about Angria surfaced last November, tucked into the pages of a book that belonged to Bronte's mother, Maria. The Bronte Society recently acquired the book at auction and is making the newly discovered work available to the public. The collections manager at the Bronte Parsonage Museum told The Guardian the book "was clearly well-used and of great sentimental value to the Brontë children, who lost their mother while they were very young. In addition, the unpublished writings by Charlotte offer new opportunities for research, which is really exciting." 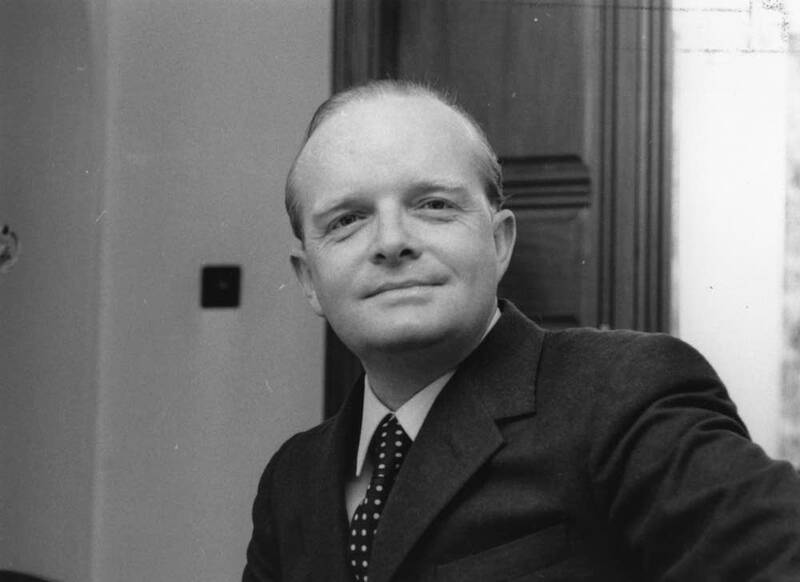 "The Early Stories of Truman Capote"
It was rumored that Truman Capote had an unfinished manuscript in his possession when he died in 1984. His editor searched his papers for it, but never found it. At Capote's request, the papers were then donated to the New York Public Library. In 2013, an editor combing through the papers found not the manuscript, but some of Capote's earlier writings, from his teens and 20s. "Aside from those that had been published in Capote's high school literary magazine, none of the stories had seen print," according to the New York Post. The stories were published in a collection, for the first time, last October. The next secret manuscript to surface may well belong to the notoriously private J.D. Salinger, who died in 2010. In 2013, the co-authors of the biography "Salinger" claimed that a novel, a novella and several short stories by Salinger would be published beginning 2015. That deadline has come and gone, but it's likely the stories of the Glass family and Holden Caulfield aren't over yet. In "Salinger," Mr. Salerno and Mr. Shields assert that Salinger, who died in January 2010 at 91, left instructions "authorizing a specific timetable" (starting between 2015 and 2020) for the release of unpublished work, including five new Glass family stories; a novel based on his relationship with his first wife, Sylvia Welter, a German he married shortly after World War II; a novella in the form of a counterintelligence officer's diary entries during the war; a story-filled "manual" about the Vedanta religious philosophy; and new or retooled stories fleshing out the story of Holden Caulfield, known to generations of readers from "The Catcher in the Rye," the novel that made its creator famous in 1951 as the voice of adolescent angst. The authors of "Salinger" attribute details of these plans to two anonymous sources described as "independent and separate."